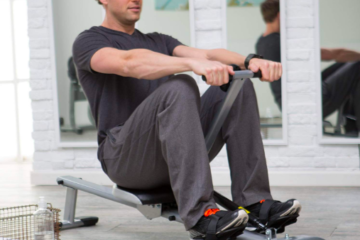 After trying out dozens of rowing machines and testing them for reliability, the Stamina 1215 became one of our favorites. Compact in size and easy to use, it’s perfect for getting in shape and getting those great arms you always wanted. With smooth gliding arms, the 1215 will make you feel like you’re actually on the water. 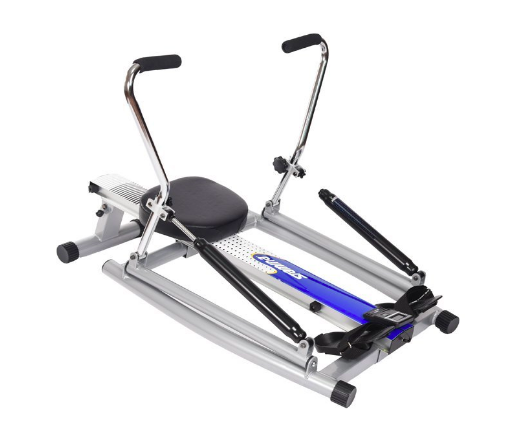 With a padded seat and adjustable tension controls, the Stamina 1215 provides you with all the comfort that you need while working out at home. Though it has a compact little shape, folding down the arms makes it even more so. 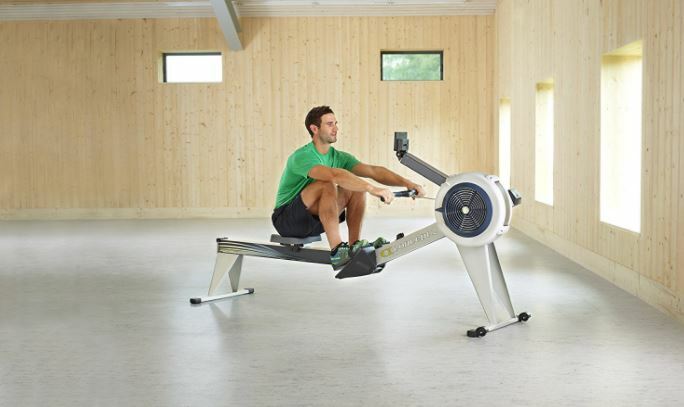 If you need a rowing machine that you can store easily and use anytime you want, this is the one for you. Find out everything you need to know about this machine to make sure it’s the best one for you. 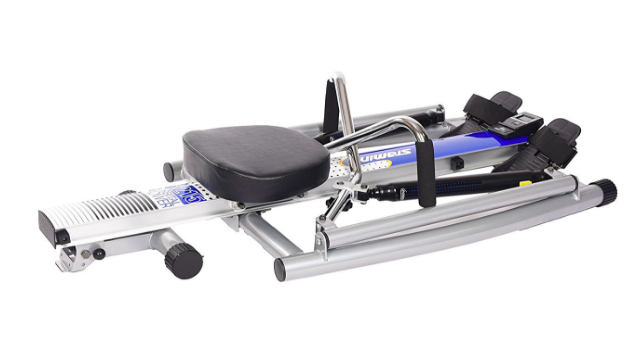 Are you tired of dealing with exercise equipment that is so big and bulky that you cannot move that equipment once you set it up? With the 1215 from Stamina, you get the freedom that you want to workout whenever you want. Thanks to its compact size, you can put it away with ease and even store it under your bed or in a closet. To make things even better, this machine comes with arms that fold flat, which drops it down into an even smaller package. Those arms have padded grips on the top that help you stay comfortable while exercising. You can get the perfect grip without feeling fatigued. You’ll also love the monitor on this one, which uses just one single button to operate. Press the button on this monitor to get a look at the speed at which you row, the total distance you moved in a single workout and the miles you rowed. This monitor also shows you how many calories you burned during your workout and how much time you spent on the machine. Don’t worry about any discomfort when sitting on the 1215 either. The molded seat molds to the shape of your bottom and features extra padding to help you feel like you’re sitting in a favorite chair. It also uses foot plates that pivot in the same direction that you move for even more comfort. You’ll also love the adjustable tension controls located on each of the arms. Turning this knob increases and decreases the tension put on you as you move your arms to help you burn even more calories and tone up even faster. The adjustable tension controls make the 1215 incredibly easy to use. Its one downside is that it uses some plastic parts instead of the metal parts you might expect. Those parts break easily with frequent or constant use. 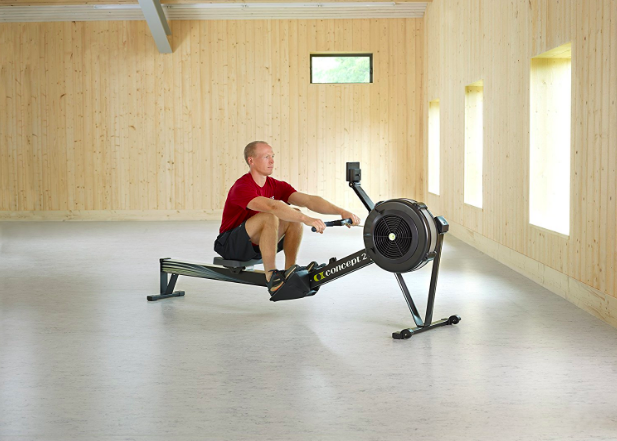 Buying a rowing machine can easily set you back $500 to $1,000 or even more, but the 1215 is one of the top budget products on the market. It comes with a warranty that lasts longer than other budget models do and is one of the top options for those hoping to spend $300 or less. This option is really best for those who want something lightweight and compact for using at home. It fits under your bed and is light enough that you can move it and set it up on your own. This is also a good option for those looking to workout at home and save money at the same time. 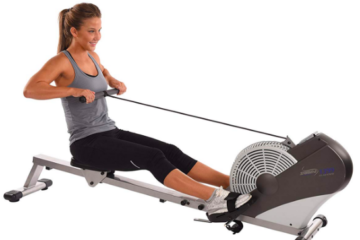 The Stamina 1215 is also a good choice for those who are overweight and want to try rowing. It has a maximum weight capacity of 250 pounds and will work just as well and just as smoothly once you begin losing weight. 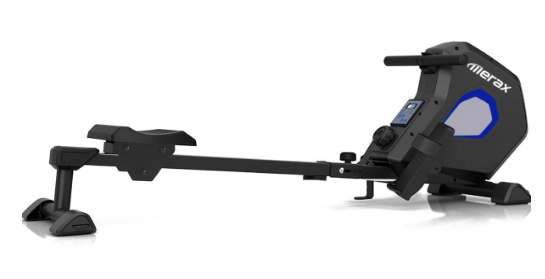 In our honest opinion, the Stamina 1215 is one of the best rowing machines under $300. Though it’s good for those just starting out, it may not last quite as long as some users would like. We really wish that it used more metal parts, which would make us more likely to recommend it for more shoppers. The molded seat is a nice feature, and we also like that it comes with some extra padding because other machines are quite uncomfortable. You may find that there is another option that might be a little better for your needs or your size. 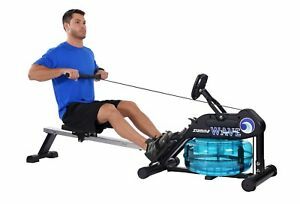 Another option worth taking a look at is the Merax Indoor Folding Rowing Machine (Check Price on Amazon.com). This model has a base that lifts up and sits next to the foot plates to take up even less space in your home. It also uses extra padding on the seat that provides both comfort and support as you row. You’ll also like the larger than average monitor on this model, which is an LCD monitor. It works in real time to show you exactly how long you rowed, the exact number of calories you burned and the number of movements you made. We think some shoppers will like this one more than the Stamina 1215. 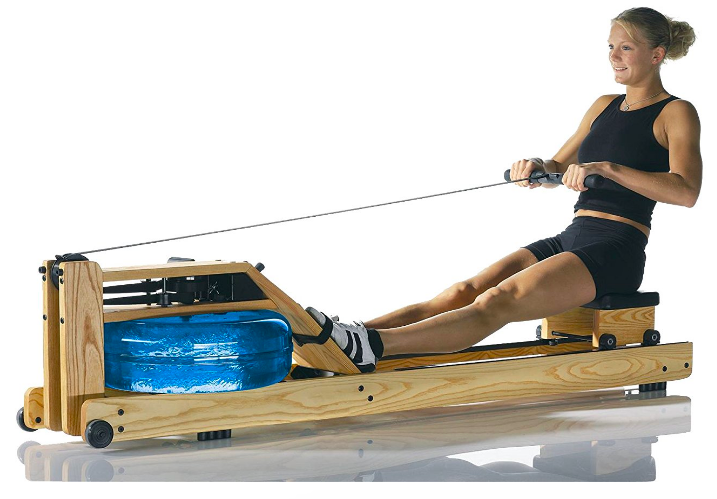 Stamina ATS Air Rower Review: Is It a Good Addition to Home Gyms? FitnessFirstNation.com is a participant in the Amazon Services LLC associates program, an affiliate advertising program designed to provide a means for sites to earn advertising fees by advertising and linking to Amazon.com.